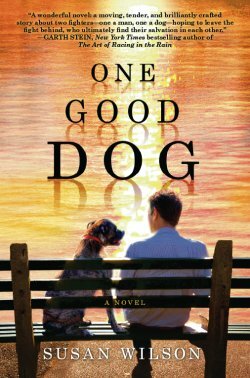 In the tradition of Luanne Rice and Kristin Hannah, Susan Wilson crafts novels rich with conflict and deep emotion. In this evocative work, she tells a tender, truthful, and reaffirming story of the fragile nature of love. A loving wife and doting mother, Cleo Grayson McCarthy has always put others first. 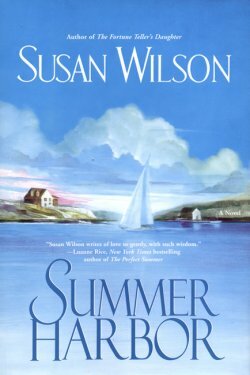 Now, desperate to finish her novel, she convinces her husband that she needs to spend the summer at a borrowed cottage on Cameo Lake -- alone. But as she immerses herself in writing, Cleo can't help but be aware of the composer who lives across the lake. At night she hears music drifting from his house and senses he's a kindred spirit. A loner, Ben Turner is regarded suspiciously by the tight-knit lake community. But he and Cleo become fast friends, and when a painful betrayal leaves Cleo adrift, she finds unexpected comfort in Ben. Before she can determine if she should fight for her crumbling marriage, Cleo must look into her heart. And Ben, whose past still lies in shadows, must look into his. When a friend offers the use of her lakefront cabin for the summer, romance novelist Cleo McCarthy would love to accept. The solitude is exactly what she needs to finish her current book. Cleo is certain her husband, Sean, will come up with dozens of reasons why she cannot possibly be absent all summer. Surprisingly, he doesn�t. Although not enthusiastic, he is remarkably agreeable, assuring her tht their two children will be fine. That he will be fine�an unspoken promise that he won�t stray. So Cleo tamps down the ghoulish specter of the past and heads for Cameo Lake in search of her muse. The cabin is rustic, almost primitive, but free of all the usual distractions. Cleo sets up her laptop on the screened-in porch facing the lake and soon setles into a routine. In the ten days before her family arrives or a two-week visit, she must write enough of the book to convince her husband (and herself) that she�s making good use of her retreat, but not so much that Sean will wonder why she stays behind when he and the children return to Providence. As she works, Cleo occasionally watches her neighbor, who lives on an island in the middle of the lake, chopping wood, hanging out laundry, or feeding the ducks. At night, she listens to his music as it drifts over the lake. Piano music, beautiful and haunting�and very different from the commercial jingles he composes during the day. As her book begins to take shape, so does the concerto�s first movement. Cleo finally meets her rec lusive neighbor at the grocery store: Benson Turner, a shy man, a few years older than she, with a gentle face and collie eyes. Kindred spirits, they frequently meet on the raft midway between her cabin and his island, the swim a refreshing mid-day break, and their companionable conversations evolve into a friendship of sruprising depth. 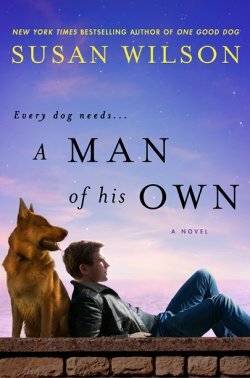 When Cleo�s world teeters on its axis, Ben is a rock of strength and comfort. As he watches her struggle to admit truths long unvoiced, Ben is torn, for he, too, must come to terms with his past�and his very uncertain future. Will either of them be able to break the hold of the past and move forward? 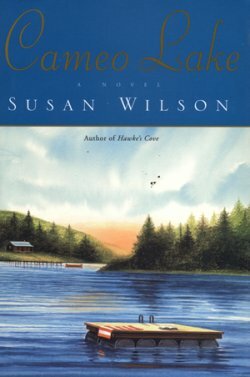 CAMEO LAKE is a moving, unforgettable tale of the many facets of love. Delving deeply into the complexities of the heaert, this powerful story of endings and beginnings, healing and forgiveness will strike a chord for all readers and resonate in their hearts. 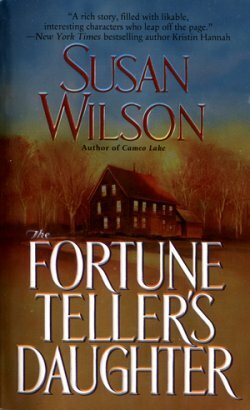 Susan Wilson is a superb storyteller, deftly weaving all the story�s elements into a vibrant, richly patterned tapestry. The characters are realistic, with a full complement of problems, hopes, and fears; their interactions honest and all too human. I highly recommend CAMEO LAKE. It�s a book you will remember long after the last page is turned. Cleo McCarthy has come to Cameo Lake to get away for a couple of months to finish her novel. A loving wife and mother, she�s always put her family first. This is time alone for herself. How can she be attracted to the local outcast, Ben Turner, whom she hardly knows? Are the rumors about him murdering his wife true? When Cleo learns her husband is cheating on her, the same as he did years ago, can she turn a blind eye again? Suffering through this betrayal, she finds solace with en. Maybe this is the time for him to tell her his whole story. She could be his salvation. But things are complicated. How can they move forward with their lives when so much is pulling them back? This is a beautiful love story full of strong emotion; of tragic endings and beginnings; of healing and forgiveness. It touches something deep inside of us all. 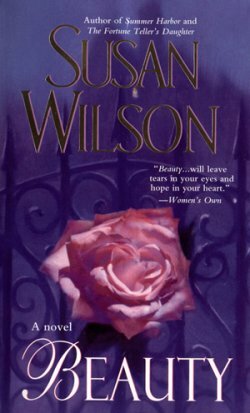 A great novel Ms. Wilson. Writer Cleo Grayson has taken a summer sabbatical from her husband and two children in order to find solitude and focus for ner next novel. During the weeks at Cameo Lake, isolated from her family, she becomes acquainted with a neighbor whose mysterious background has caused him to be ostracized by the remaining summer campers. As Cleo becomes better acquainted with Ben Turner, she is repeatedly reminded of betrayals in her own past and begins to question the choices that have formed her family life. Her friendship with Ben proves to be a source of strength for both of them as the summer progresses and the fragility of human relationships is tested. 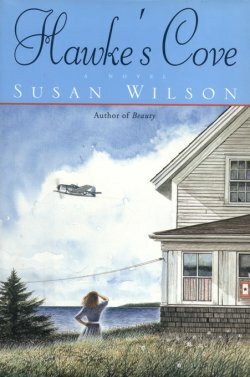 As in her previous work, Hawke�s Cove, Wilson uses a clear grasp of family and marital dynamics to bring us a touching story of people dealing with real problems in very human ways. Author Cleo Grayson McCarthy is offered the use of her friend�s lake house so she can work on her next novel. The idea of solitude is irresistible to the busy mother of tow, and her husband agrees to the plan. She settles in on an isolated lake in New Hampshire where she encounters another loner, Ben Turner, whom she can hear composing a haunting melody in memory of his wife. They develop an intricate friendship, which is quickly put to the test. It seems that Ben is the local outcast, seen as the cause of his wife�s death. Then Cleo�s husband ends up dropping off their children, causing Cleo, angry at his selfishness, to wonder bout his fidelity. She also realizes that her feelings for Ben go beyond friendship. Now, as she approaches 40, Cleo must decide how she feels about her marriage and whether her affection for Ben is a dream or the real deal. Wilson�s tale is a sensitive scrutiny of one woman�s struggle to discover what she wants in life. Writer Cleo Grayson McCarthy is having trouble finding her muse on her latest work. Her friend Grace offers her cottage on Cameo Lake in New Hampshire to recharge her creative batteries. Now she is away from her husband and children and other distractions of everyday life. The lake is beautiful, and soon she is making progress on her book. Her neighbor across the lake catches her interest as well. His name is Ben Turner, and soon he and Cleo become friendly. The protagonists� professions are used beautifully in the narrative with ingenious references to prose and music composition. 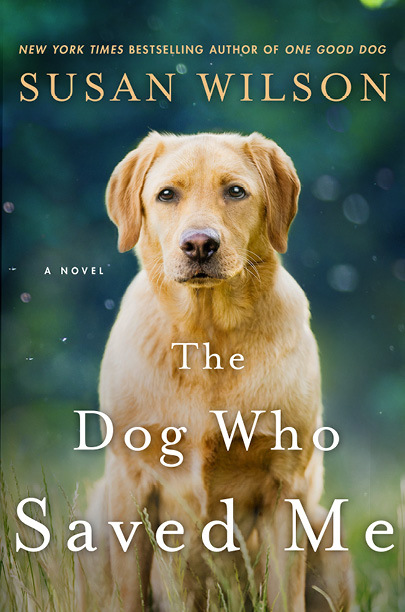 The lively first-person narrative eloquently tells the story of a woman slowly realizing that her life needs to change, and finding the courage to face grief, guilt, and pain in the change. With her deadline approaching, Cleo Grayson is far from having her latest manuscript completed. When her best friend Grace offers Cleo the use of her rustic cabin by Cameo Lake, Cleo quickly accepts the offer. 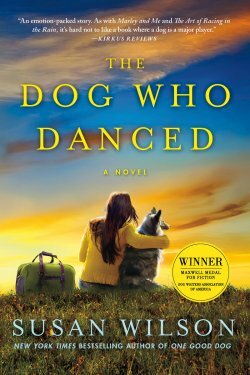 While the cabin will be conducive to completing her book, it�ll be hard to spend the summer away from her children, Lily and Tim, and her husband, Sean. Ever since Sean committed adultery years earlier, Cleo has been unable to completely trust him. When he fails to make arrangements to take th children back home after a visit to the cabin, Cleo�s anger begins to flame. Composer and former rock star Ben Turner has spent the last year alone, isolated and estranged from his neighbors. The small community of Cameo Lake holds Ben responsible for the death of his talented wife. When Cleo moves into the cabin, hers is the first friendly face Ben has seen in a long time. Friendship grows as they find the best in each other. As the summer winds down decisions will have to be made, as secrets bubble to the surface, making change inevitable. This is an author with a talent for building complex and believable characters. For anyone looking for a deep and compelling read, this is the book for you. �CAMEO LAKE is a powerful character study that digs deep into the souls of the lead protagonists who obtain empathy from the audience. The story line will provide much pleasure to readers who enjoy a deep relationship drama. Cleo Grayson McCarthy needs to be alone. She needs solitude to finish her l ates novel. 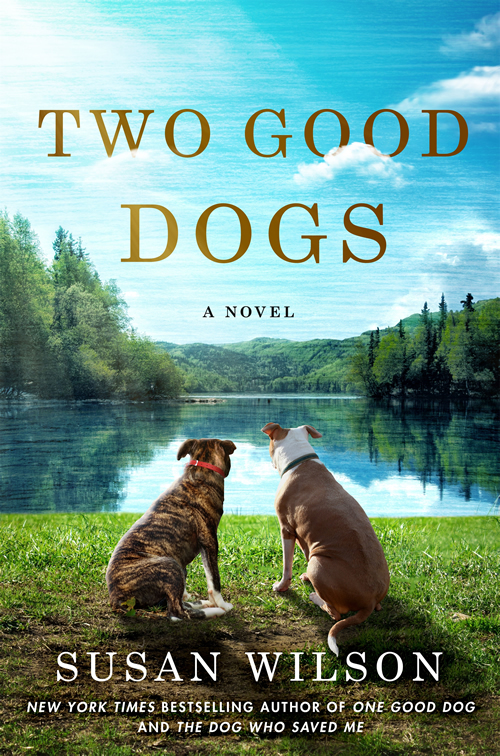 Her best friend offers her a cottage at Cameo Lake in New Hampshire to get her life in order. A complicated life that does not need a distraction like Ben Turner. This book is rich in conflict and emotion. It allows one to seek the truest meaning of love. The sun dappled the track in front of me, strobing brilliant to black, dazzling my eyes and making me squint. I maneuvered my borrowed four-by-four into the ruts I couldn't go around, the groaning of the behemoth vehicle condemning my inexperience. Just the good side of mud season, the track was only vestigially wet in the deeper grooves, uncomfortable but not impassable. Heavy tire marks ahead of me guided my way when I would have packed it in otherwise. After the lonely three-and-a-half-hour drive from Providence, it wouldn't have taken much else to turn me back from committing myself to this exile in the New Hampshire woods. Grace's instructions had been precise. I found the turnoff to the cabin easily: third left beyond the abandoned fruit stand, watch for the faded blue sign cameo lake at the head of the mile-long private way. Before going any further I paused, checked my watch, and picked up the mobile phone plugged into the lighter. Grace had warned me that the cabin lay in a dead zone for microwaves and the car phone would only work at the top of the drive. Once down the road, I was lost to all outside communication. A fact which had made the offer to borrow her cabin that much more appealing. "McCarthy." Sean's voice was abrupt. "Under four hours. One stop." "Good. Good." I knew Sean must have a client with him, his half of the dialogue was shaded with preoccupation. "I'll call you at home." "Fine. Wait. I've got a dinner tonight. Call late." "Never mind, I'll call tomorrow." I repressed my annoyance that he couldn't spend this first night of my being away at home with the kids. Sean had been remarkably agreeable, if not precisely enthusiastic, about my making this working retreat. Putting a good face on it. Every time I mentioned some aspect of the upcoming retreat, Sean would carefully arrange his broad Irish face into a cheerful, benign expression, admirably illustrating the aphorism. "Hey. Cleo. I'm glad you got there safely." The track suddenly opened up into a good-sized yard, edged by a semicircle of pine and birch. The late-afternoon sun made golden the yellowish grass and patched the cabin roof between the long shadows. "Plain and simple" was how Grace described this lakefront family camp. Plain and simple it was. Rustic bordering on primitive: a two-circuit electrical system, limited hot water, and no phone. The one concession to environmental responsibility was the recent addition of a flush toilet and a tight tank. "It's exactly what you need." Grace had taken my unfinished manuscript as her responsibility. "You need to get away from everyone -- every distraction." She meant my inability to say no to anyone: PTA, church, community activities. The phone rang and my Pavlov-ian response was to say yes. Grace, of course, was my biggest distraction, the one who kept signing me up for things -- "It'll only be once a month...year...day." That's not fair. Grace was my one legitimate distraction, apart from my husband and kids. My best friend. I sat for a long time staring at my future. Would I really find my abandoning muse in this peaceful, if lonely, place? A cardinal flitted in the bramble bush, cast himself into the air, and landed on the tin chimney. He called to the world, "Mate wanted, apply here," with a sharp call, like someone whistling up their dog. I waited. The cardinal dashed off to another, higher, place. Again he whistled his low-high notes. The breeze riffled through the pine trees and I heard a duck, though the lake wasn't visible from the driveway. Finally I moved, climbing down out of the car. I couldn't feel the writing urge come on me like the Spirit over the Twelve. The magic release from daily commitment hadn't kicked in yet. Instead, surveying my new uncluttered surroundings, I felt only the urge to climb back up into that ridiculous vehicle and barrel home to my known quantities and useful excuses. I didn't feel the writing urge; instead, I felt the bitter loss of my anger, that generalized anger that built up when there were too many things which kept me from working, the anger at myself for using those disruptions as an excuse. Fish or cut bait. I think I said it aloud. I'm standing in my skeleton -- all protection gone. Gone the protective coloration of car pools and calling lists. No need to drop everything and run. I had arrived. There isn't much in Cameo. A green denuded of big trees by storms, a pharmacy, and a pizza joint. In the last few years various rural artisans have set up shops and galleries, but nothing would open until July, which was still ten days away. The next town over has the Big G grocery store, so I made due this first night with a slice of pizza from the pizza place and a quart of milk bought at the gas station convenience store. I had brought the necessities: coffee and cereal, and wine bought at the New Hampshire State Liquor store. The rest of my supplies could wait. My willingness to shrug off the responsibility of meals and good nutrition came as a pleasant surprise. The private drive seemed shorter the second time in and I negotiated it more effectively. When Grace offered her family's cabin to me for the summer, I carried the offer in my mind for a long time before broaching the idea to Sean. Even with Sean's mother living on the street behind us, I knew Sean would feel put-upon being left with total child-care responsibility. Not that the kids needed much hands-on. At almost ten and eight, Lily and Tim were pretty independent and reliable. This was their golden time -- post total dependence and pre adolescence -- that lovely juncture of age and maturity when they needed only minimal supervision. I could hear his objections before he voiced them: I have to work. I can't blow off clients. What if I have to travel? Subtext: This is your job. Then there was the other thing. The thing which must never be mentioned because I had forgiven him, but which would forever taint our relationship. The thing even Grace didn't know about because it had happened so long ago -- yet the pain of Sean's infidelity had the power to occasionally stop me in my tracks. "So, when are you going to talk to Sean about going?" Grace, friend, confidante, pain in the behind, pressed me for an answer. "I hate setting myself up for an argument." "Why should he argue against productivity? Isn't that what he's always talking about in his job?" "Oh, Grace. Okay. I'll talk to Sean." Grace stage-managed the situation, as ably as she stage-managed the community theater where we first met. A few years ago, I had toyed with playwriting. Grace, an associate professor of English at Brown, turned one of my scripts into a respectably received production in a weekend of one-act plays by unknowns acted by students. But, as she knew right from the start, it was the long form, the novel, I really wanted to write. The play never saw the light of day again, but Grace and I remained close friends. I achieved a moderate success at novel writing and it was my fourth book that I was finding it hard to pay attention to. Memorial Day Weekend, a picnic at Grace and her partner Joanie's flat on the East Side of Providence. Grace had Sean backed into a corner, amber bottle of beer in his one hand, the other hand balancing a paper plate heaped with chicken and salad, defenseless against her charm. "Sean, has Cleo told you about my offer?" Grace always intimidated Sean by her sheer presence. Showman meets insurance man. Large, with masses of long curly hair, and built on the style of Rubens's vision of femininity, Grace fitted her name, every movement fluid, pouring herself over people, filling their space with her voice and gesture. I watched Sean back away a step. He once said she was the only woman who intimidated him physically while turning him on, evidently a contradiction in his mind. "To finish her damned manuscript at my New Hampshire cabin. To get off by herself for as long as it takes." Sean's sharp blue eyes met mine. "Sounds like a good idea. When were you thinking?" He could have been speaking to me or to Grace. "Soon. Tomorrow if she'd go." Grace closed the space between them with an arm around Sean's shoulder. "She's not even done with the first half -- are you, Cleo?" Sean smiled his insurance smile, practiced and smooth. "It's a great idea." I knew it would be an interesting ride home and already I rehearsed my rationale, seeking the palatable compromise. "Then it's settled." Grace squeezed Sean's shoulder and nodded like a well-pleased god. We walked to the car, parked halfway down the block. The streets were a little shiny now with headlight shimmers. It wasn't too late, maybe ten o'clock. The kids walked ahead of us, the truce of the moment evident in the proximity they kept with one another. Not quite touching, skipping over sidewalk cracks. Tim's blue ball cap on backwards in a rakish imitation of current style, Lily unkempt, her hair pushed into a ratty ponytail. Had I made her brush her hair before we left the house or had she gone to Grace's that way? "Do you mean to be gone all summer?" Sean and I walked in a large-sized duplication of the kids, close but not touching, stepping carefully over the cracks. "I need the time, Sean. I need the solitude." "Are we that bad? You've managed before." "It's not you. It's me. I'm not as good as I once was at shutting everything out." Even as I said it, the specter of old conflict, Hamlet's ghost, was raised and I remembered how successful I had once been at ignoring things. Sean took my hand and slowed our pace down enough to fall behind the kids a little bit. "I love you." "Sean, it's not a matter of love." "Yes, it is. I love you enough to say, 'Go, write, thrive.' We'll be fine." His hand tightened on mine. "I'll be fine." The promise. I squeezed his hand back and smiled. "It'll be all right. Once I can spend whole days working, it won't be long at all. Besides, the kids have been pestering to go to camp. Maybe this is the year." "Absolutely." Then, "When will you go?" "Not before school lets out. I don't want to miss the end-of-year activities. Mid-June, maybe. Kids get out around the twentieth." "It's settled, then. A retreat." "It's not impossible for you and the kids to come up on weekends." Sean had slipped his hand out of mine to scratch at a mosquito bite. "Hmmm? Yeah, of course, weekends." Hamlet's ghost hovered in the back of my mind and suddenly I was afraid. The whole leave-taking was almost derailed when the timing belt in my ten-year-old minivan went. Grace, as always, to the rescue. "Take my SUV. I don't want the summer students renting our place to have it, it's no good to me in Italy, and I would love to know you have a good, reliable car up there. No if, ands, or buts, Cleo. No excuses not to go." I wondered what she would have said had I told her about Sean. But I kept my eyes looking forward and turned my back on history. It was dark now and I chided myself for not leaving a light on in the cabin. I clumped up the steps, instinctively warning any predator of my arrival. I knew a light chain dangled from somewhere near the center of the kitchen space, I swung my hands in unintentional mockery of the blind before I could see the faint glow of a tiny luminous Scottie dog suspended in midair. One sixty-watt bulb, nestled in a blue cardboard shade, warmed the room. The pervasive smell of mold seemed more pronounced than when I had first come in that afternoon, the night's dampness raising the ante. Of the cabin's three rooms, the kitchen/living room space was biggest. The two bedrooms, originally one room now halved by particle board, were only large enough for two camp beds in the one and a three-quarter bed in the other. Both held only one three-drawer bureau into which a summer's worth of clothing had to be crammed. The recent addition of a bathroom, a lavatory really, encroached on the porch. The only shower, lake-water-supplied, was outside. The walls were painted pine, mostly shades of tan, varying where each summer's painting began and ended. The pine floor was dark brown, and here and there scatter rugs covered the worst of the gaps in the floorboards. An island counter separated the sitting area from the half-size stove and gas-powered fridge. The other attempt at modernization, a picture window, took up half of one wall; in the dark it was a black mirror, but in the day I knew that it overlooked the lake and the little islands rising out of it. The White Mountains served as backdrop. A screened porch jutted off the side of the cabin, precariously balanced on stilts. I opened the windows against the musty inside air, letting in a chill early-summer breeze. So quiet. I pulled on a sweater and went out onto the porch. No, I was mistaken, it wasn't silent at all. I breathed in the fresh lake air and listened. The night sounds of bullfrog and cicada pierced the gloom. I strained to listen over it. Not one human-made sound. I stared out into the dark. Trees loomed more darkly than the night sky. They ringed the lake, massive pines hushing gently in the light breeze. From the porch it was clear-cut to the lake's edge. Unlike the ocean, the lake was still and made no noise except for the occasional splash of a jumping fish. Ungentrified, rustic, it was perfect. Directly across from where I stood there suddenly appeared a soft yellow light, flickering slightly, as if not made of stable electricity. The screek of a screen door carried across the water from the small island opposite my shore. So, I was not entirely alone. Sipping warm chardonnay -- my single glass of indulgence -- I stared at the beacon, thinking of Jay Gatsby longing after Daisy. Random thoughts flickered like the light across the water. I wondered for the first time if this sabbatical might be as much time out from marriage as it was from everyday stress. A little separation to renew the faltering romance of a busy and distracted relationship. I poked at the thought a little to see if I could make it flame. The specter of past conflict was there, it was never entirely absent in our marriage. I loved my husband, but I couldn't entirely trust him. I never had any doubt that he loved me, but, like his father before him, Sean couldn't stop himself from flirting. I remembered the first time Sean brought me home to his family. We were new lovers, besotted with one another, keeping no less than a fingertip's distance, and yet, immediately, I felt the flattery of Francis McCarthy's attention. "Come sit by me, young lady," blue eyes so like Sean's glittering under shaggy brows, "tell me about yourself." Lacking a father, even while he was alive, I felt charmed and somehow selected by Francis McCarthy's interest in me. I thought it unfair of Sean to pull me away as he so quickly did. "Bred in the bone," Alice McCarthy said when I complained to her about Sean's compulsion to flirt. "Pay it no mind or you'll never be happy." It was advice I shouldn't have taken. A drift of piano music floated across the still water toward the screened porch where I sat, mired in old memories. The music was almost a perfect backdrop to the conflicted emotions I had pressed into being by allowing myself to dwell on what was supposed to have been past. The piano chords were a rising, inharmonic progression leading toward a natural resolution. They stopped before they touched the chord which would have put them into sense, leaving me with an auditory frustration not unlike missing the last rung of a ladder. Eventually the porch light from across the water went out, and I went inside.